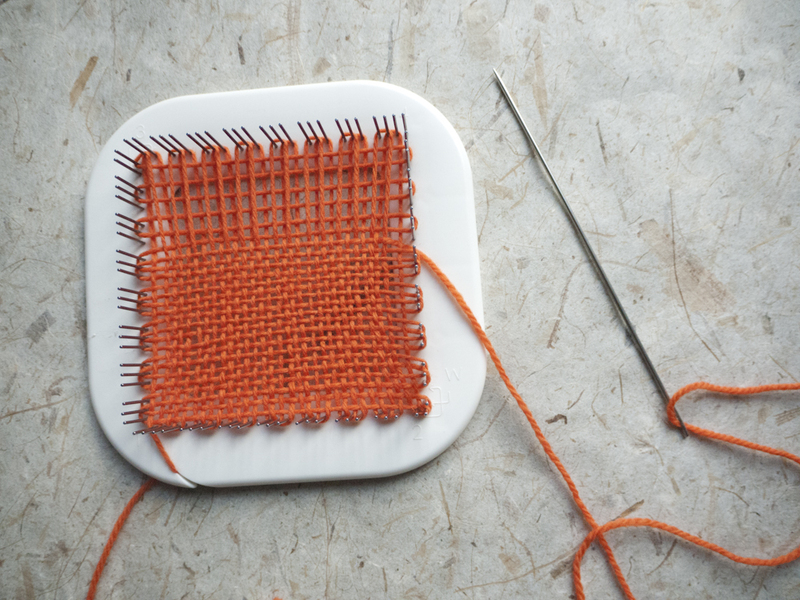 First we need to weave up our squares using the Zoom Loom, so get weaving! 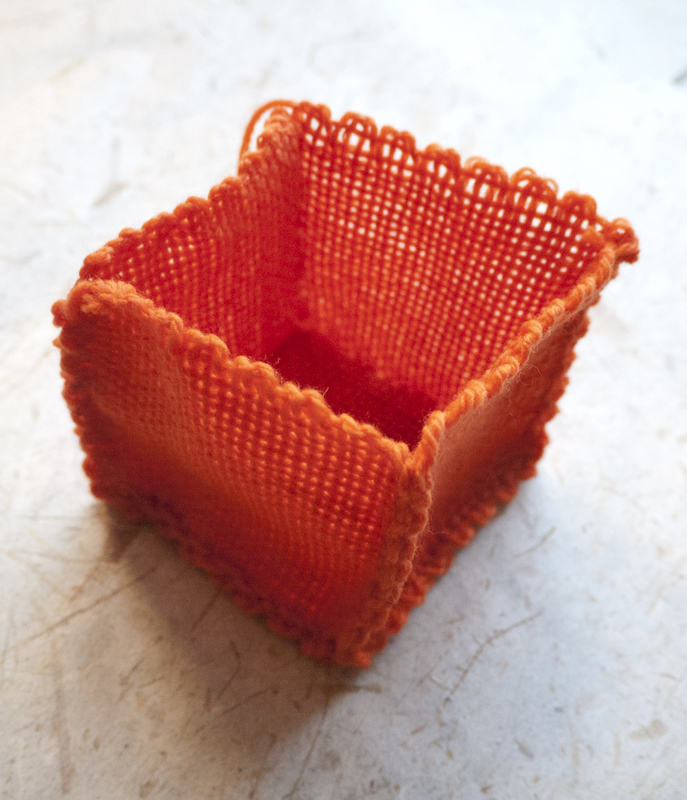 We will use the ends to sew up our pumpkin, so skip weaving in your ends. 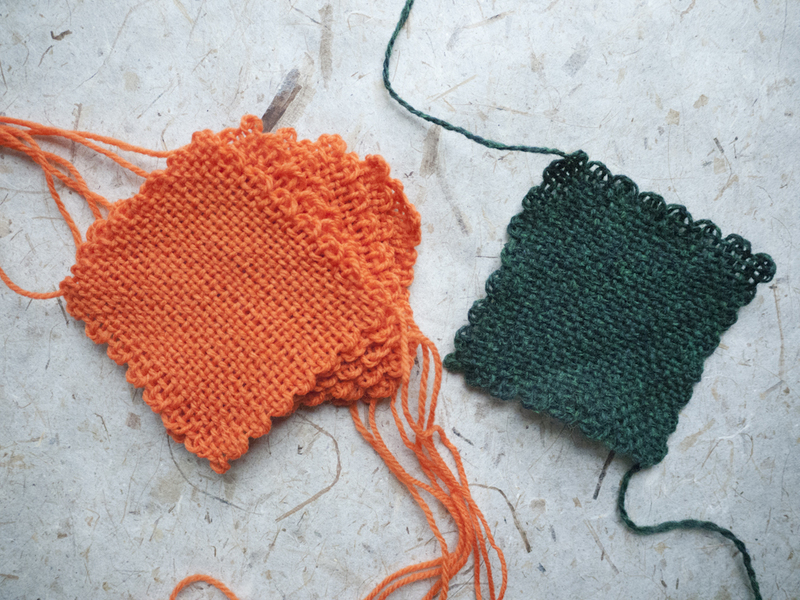 Weave up a total of 6 orange squares and 1 green square. Remember, don't weave in or snip your ends. 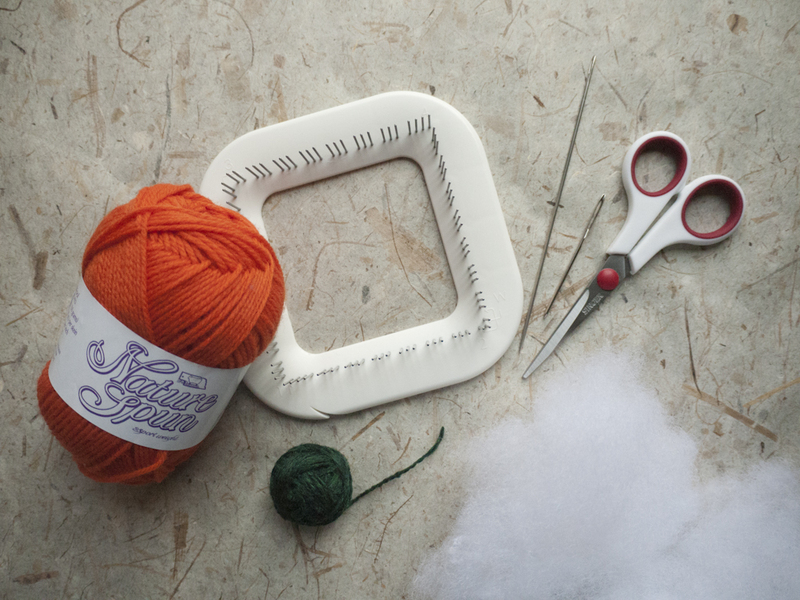 It's time to start sewing our pumpkin together. 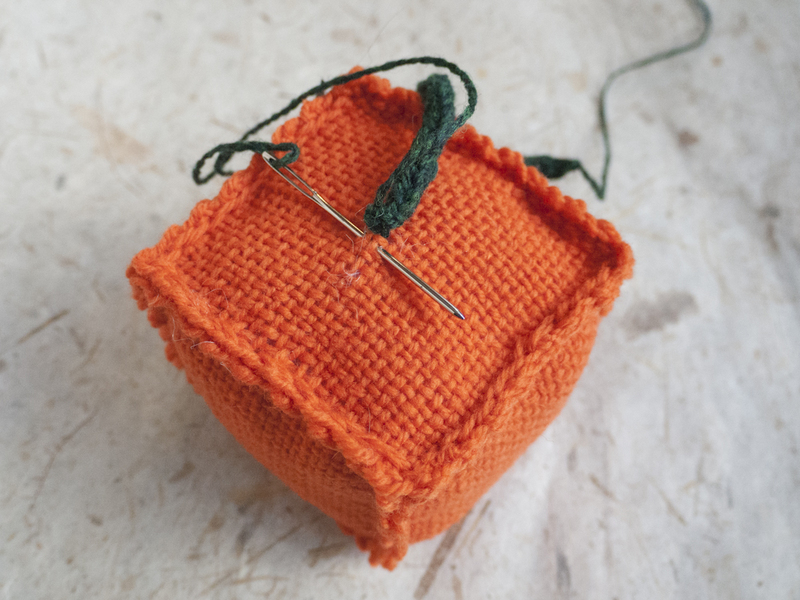 Place two orange squares on top of each other with one end at each corner, sew one side of the squares together using a Backstitch. Make sure you are sewing one warp thread in from the outside so your stitches stay put. 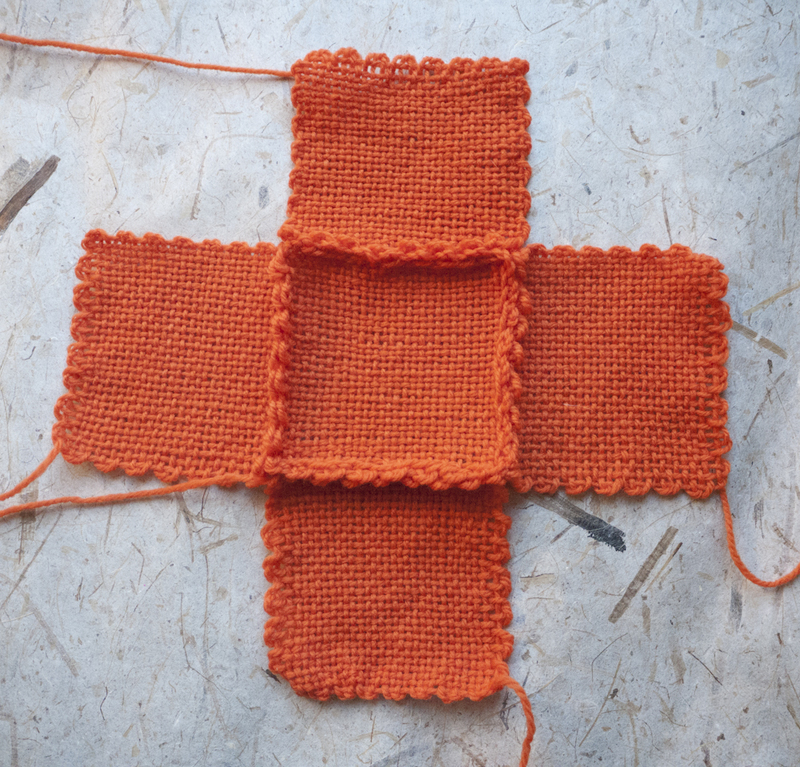 Continue sewing orange squares together in the shape below. You are basically attaching a new square to every side of one middle square. Be sure to keep all of your seams on the Right Side (outside of the pumpkin). 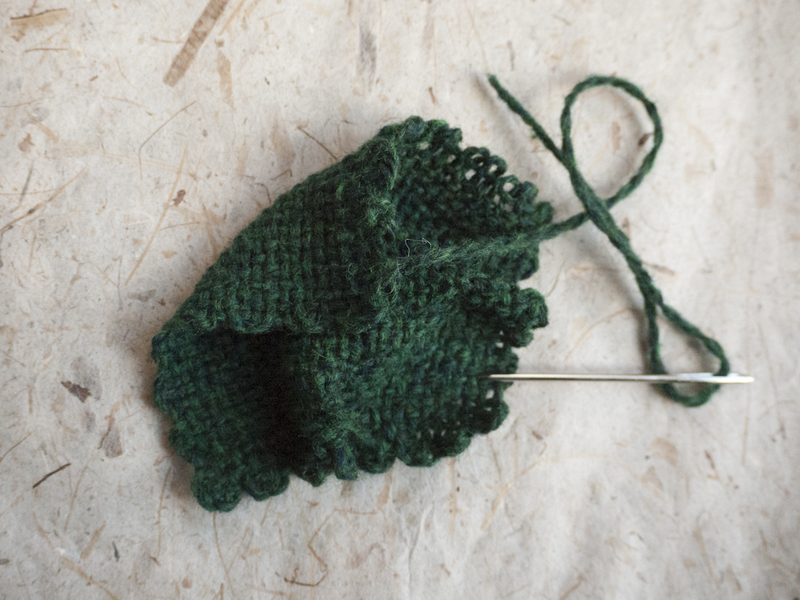 If you run out of yarn because your end is to short, just attach more yarn and keep sewing. Next we are going to make our pumpkin 3D by sewing up the sides. 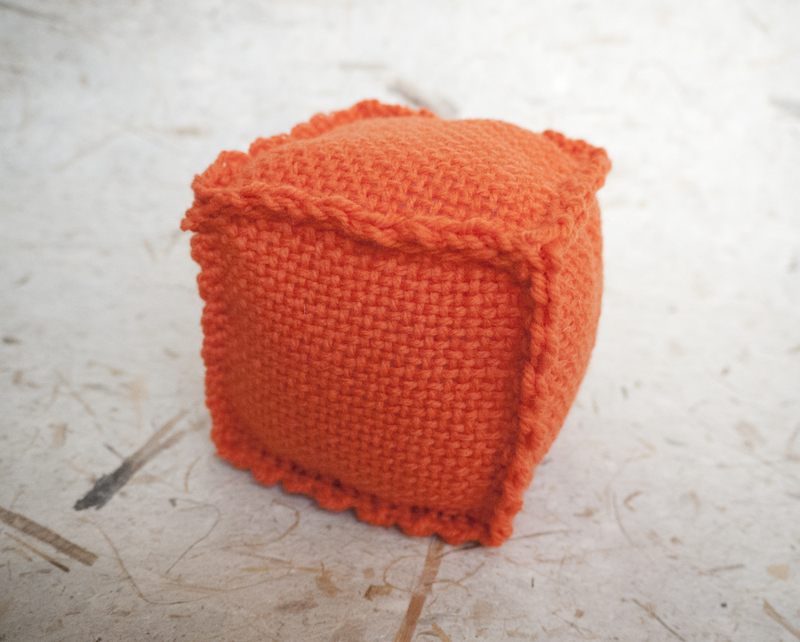 Line up the sides of your "cross" above and stitch them together so you have an open cube. The square that is in the middle in the photo above will become the bottom of your cube. You can now sew your last remaining square to close the top. Just line up your edges and start sewing. Leave one side open so you can stuff your pumpkin. Once your pumpkin is stuffed you can close up your last edge. 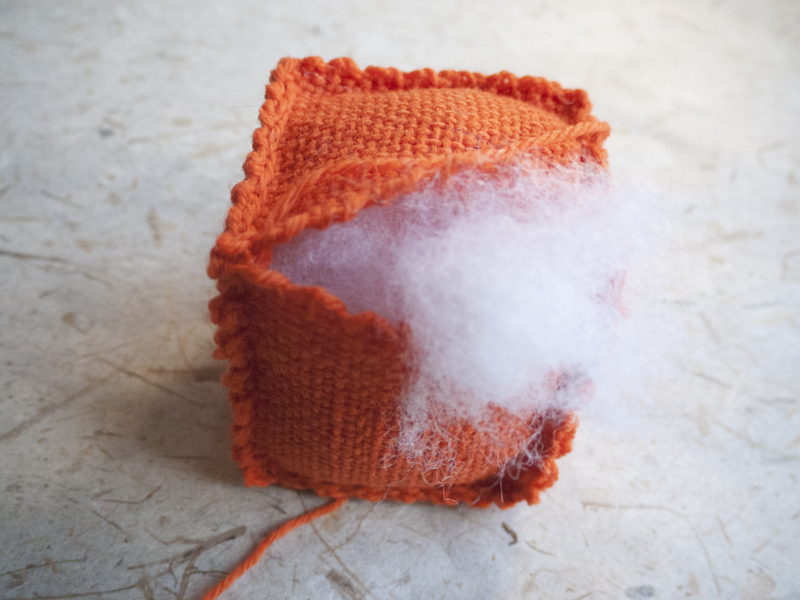 Pull any remaining yarn tails to the inside of the pumpkin to hide them. 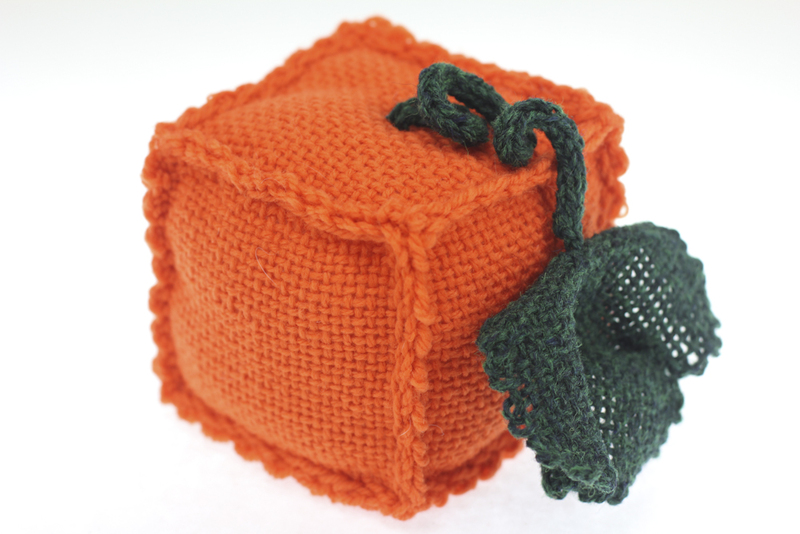 We pretty much just have an orange cube, now we need to make it a leaf so it actually looks more pumpkinish. 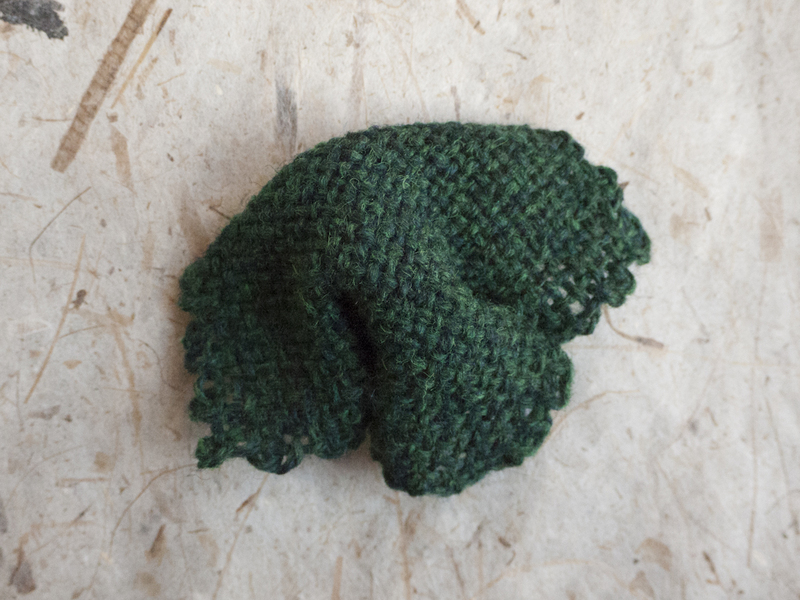 Grab your one green Zoom Loom square and pinch a bit of one of the sides towards the back. 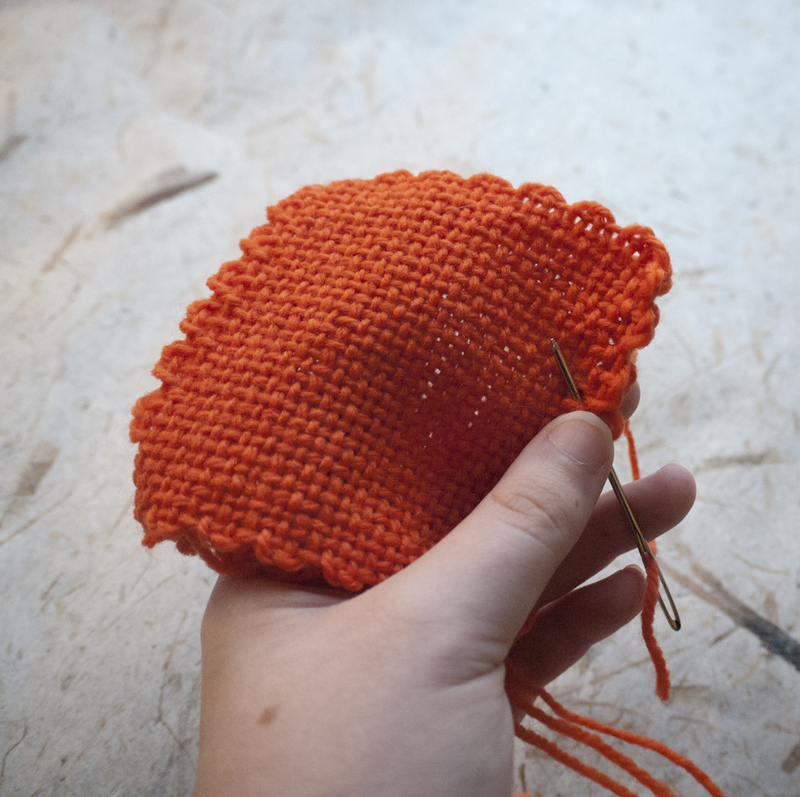 Make a stitch along the backside to make the fold stay put. Now do the same thing to the side to the the left of the side you just folded. 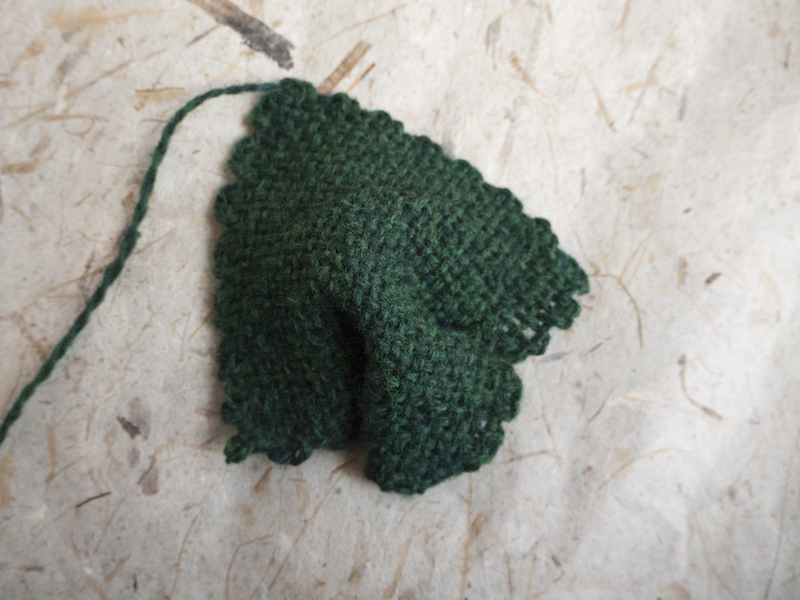 Flip your leaf over so the back side is facing you, then fold the top corner down to the middle and stitch it there so it stays. Trim all the ends on your leaf and flip it back over and it's all finished. Our leaf needs a vine to connect it to the pumpkin. You can make a vine however seems best to you, you could make a crochet chain, braid, or tie knots like a friendship bracelet. We chose to do a knitted I-cord, our I-cord is 3 stitches on US Size 3 needles and is 3.5" long. 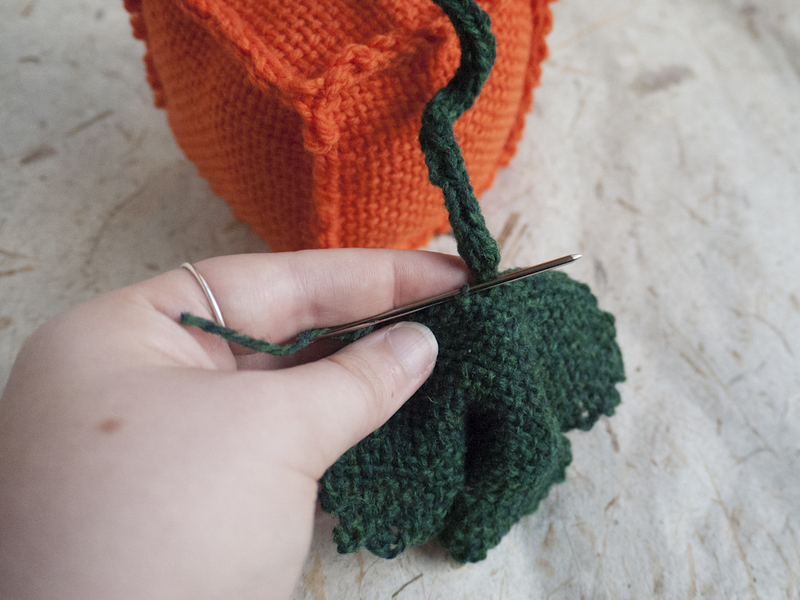 Sew one end of your vine to the very middle on the top side of your pumpkin. 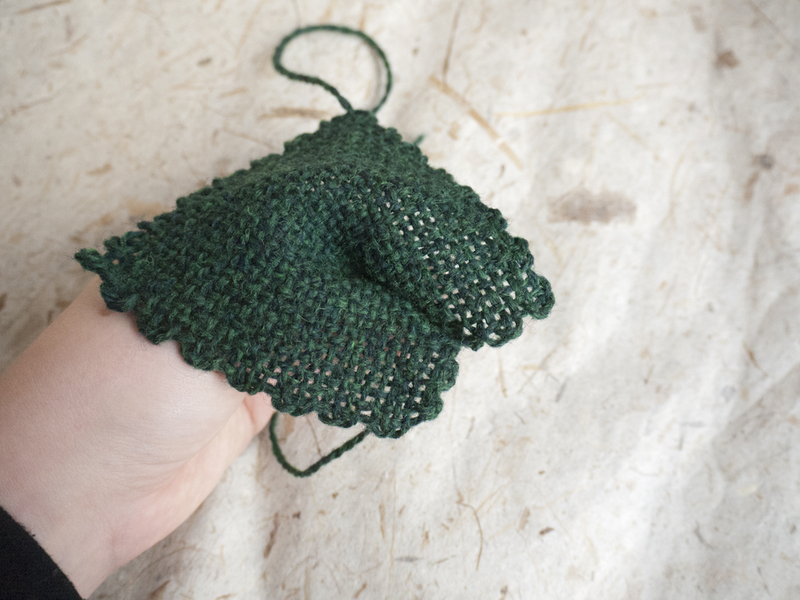 Then sew the other end of your vine to the top middle of your leaf. Give your vine a little twist to make it curly and your pumpkin is ready for Fall! Folks around The Woolery have been calling our pumpkin the "squmpkin" because it's a square pumpkin. Happy squmpkin making to everyone! 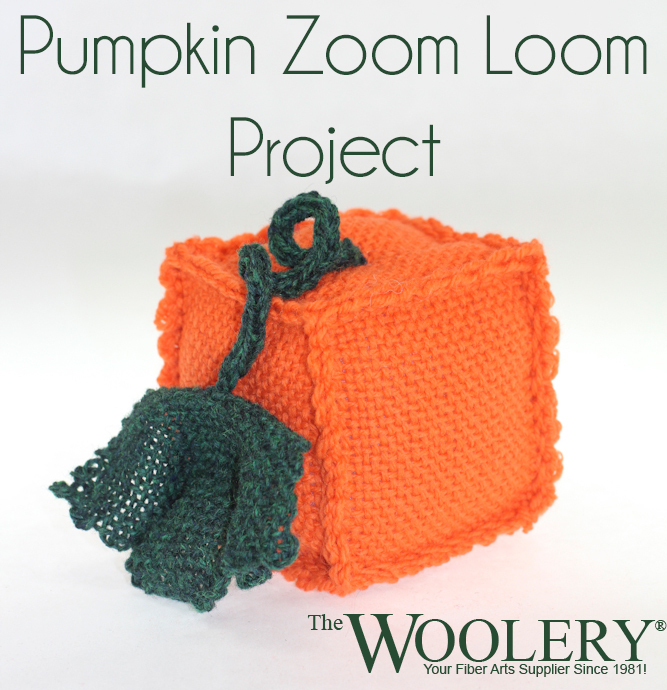 If you have ideas for future Zoom Loom tutorials you'd like to see, please let us know in the comments!